This is the second in a series about the Amazon region of Brazil featured in my illustrated picture book, Alexander the Salamander. This post is about piranhas, a well-known fish native to South America. 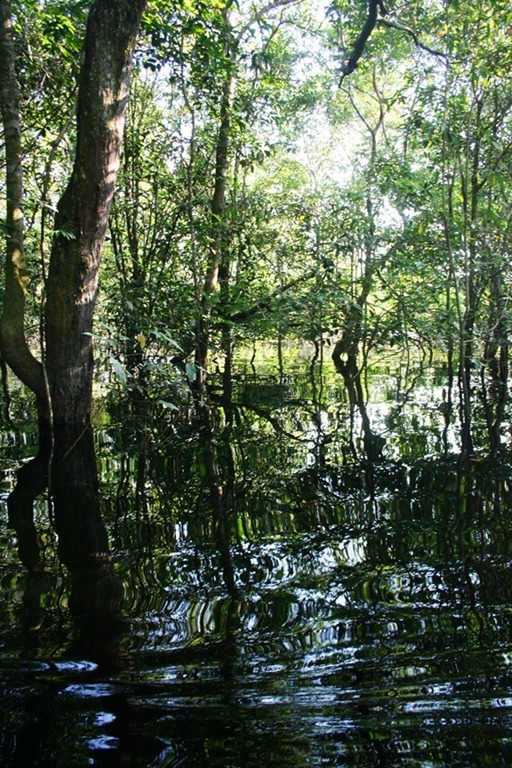 Upcoming articles will focus on the Amazon River Basin, the rainforest, indigenous groups and wildlife in the Amazon, and eco-resorts. 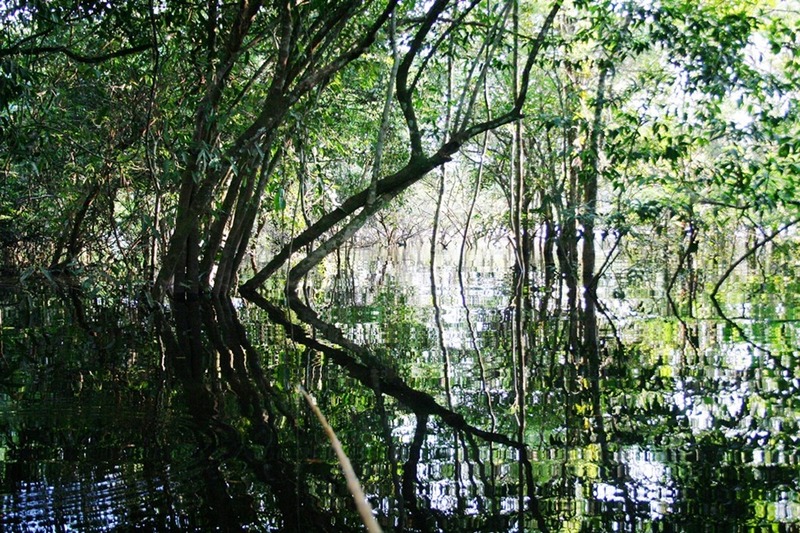 Enjoy these travelogues with photos and stories from the world’s largest rainforest. They lurk in the dark waters of the Amazon River, elusive but potentially deadly with their razor-sharp teeth that can tear into flesh. They swim in schools, but their curriculum is survival by finding innocent victims to eat. They are attracted by the scent and sight of blood floating in the water, and when they attack, they swarm and subdue prey through death by a thousand bites. They are the PIRANHAS! Deadly, dangerous piranhas! Be careful…do not go into the water! 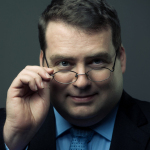 I’m kidding…sort of. The perception of piranhas as prone to aggressive behavior when it comes to feeding may be true, but their reputation as bloodthirsty, rapacious killers is overblown. The image of these members of the Characidae family that movies such as the 1978 film Piranha and its spawn — most recently Piranha 3DD — portray outstrips what these fish can really do. They certainly aren’t as docile as my buddy Percy the Piranha featured in Alexander the Salamander, who nibbles Alexander on the nose to say hello. 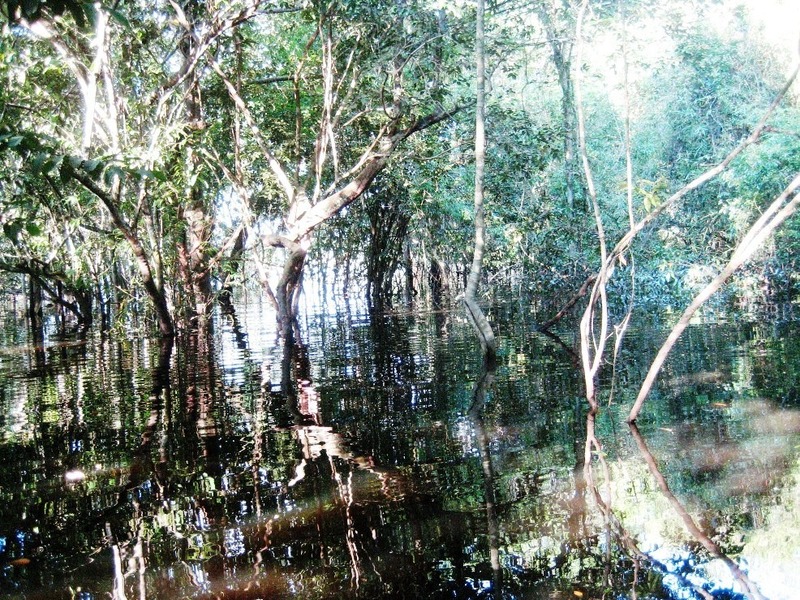 They are predators, scavengers, and even herbivores, and there have been confirmed cases of people killed by piranhas. 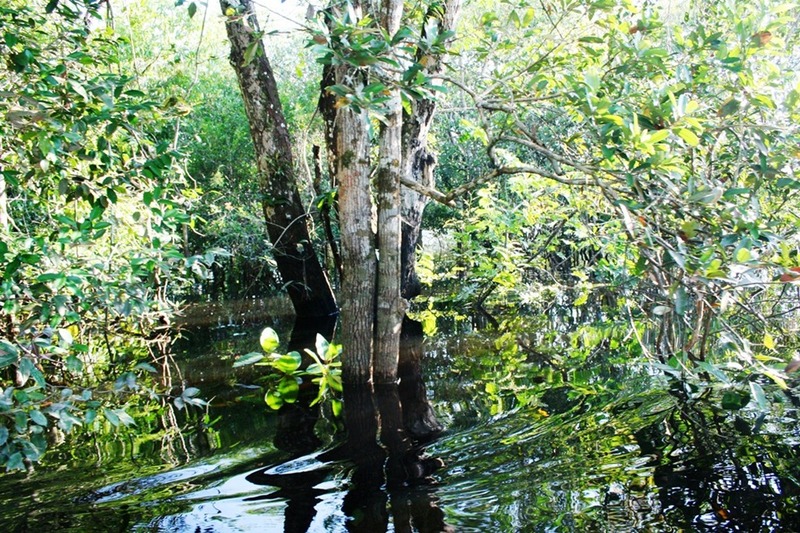 However, the fish are also prey for other animals higher up on the food chain, including the cormorants, caimans, dolphins, and humans. Humans? Certainly. 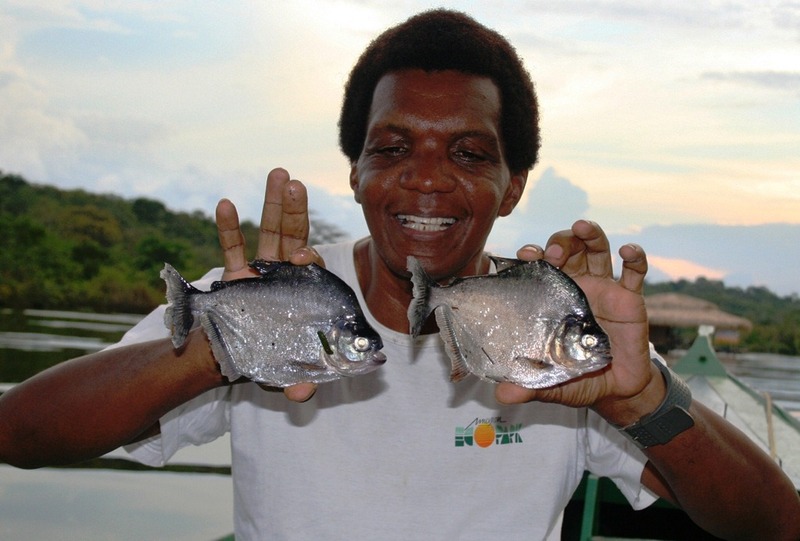 Humans kill and consume far more piranhas than the other way around. 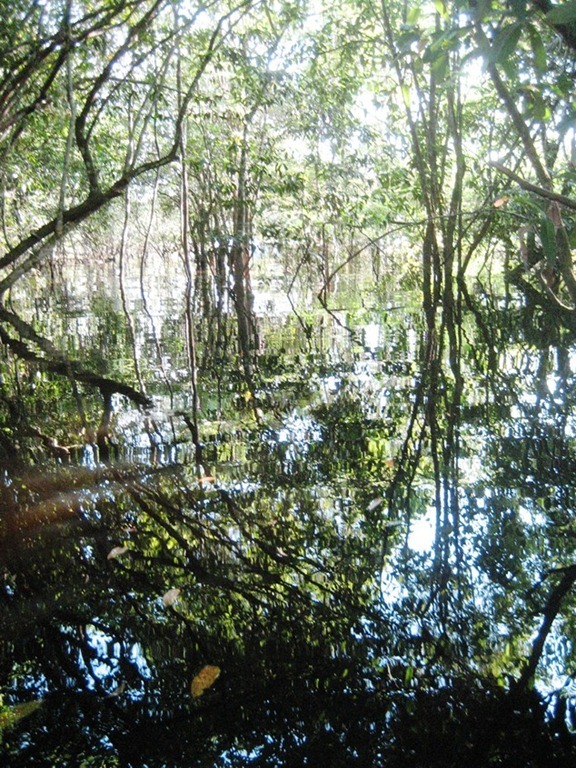 When we visited the Amazon River Basin in July 2008, we went piranha fishing. Floating in a skiff in the murky waters of a tributary, we dangled raw beef cubes as bait from fishing poles and snagged some. An unorthodox means to catch fish for sure, but it worked. We caught a couple large ones and ate them for dinner. They were tasty but quite boney. 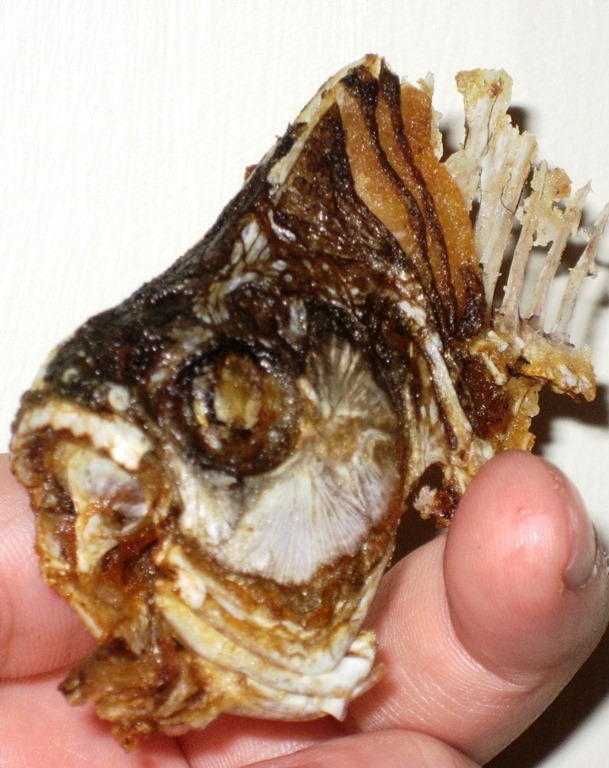 The face and gills were the only remnants after we finished feasting on them. 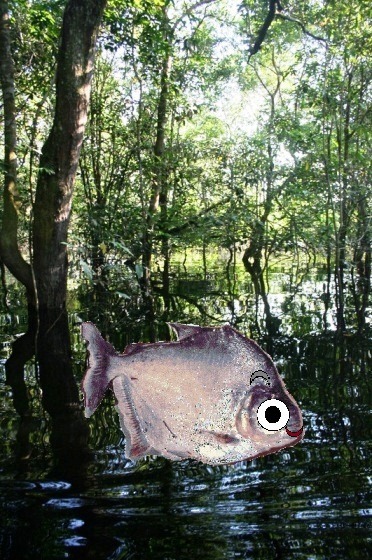 Piranhas make a good prop when you tell your friends at home that you went piranha fishing. 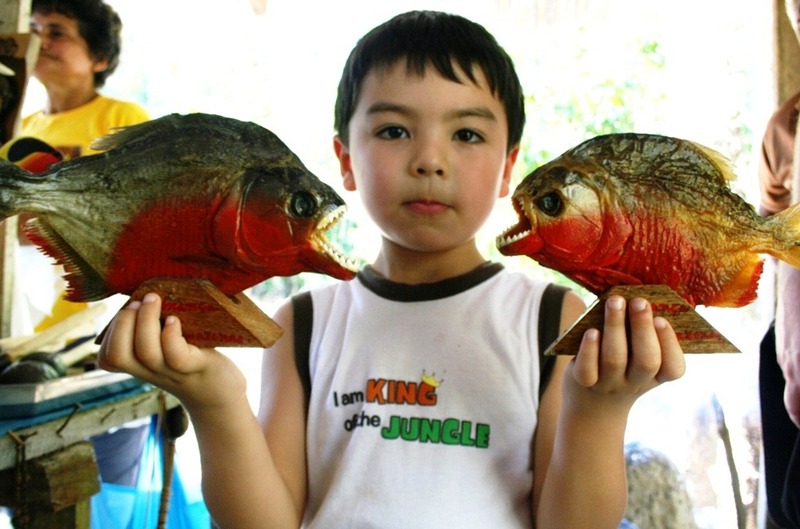 The dried and lacquered fish mounted on wood stands made by local souvenir vendors are great desk ornaments, especially the red-bellied piranha reputed to be the most ferocious of all. 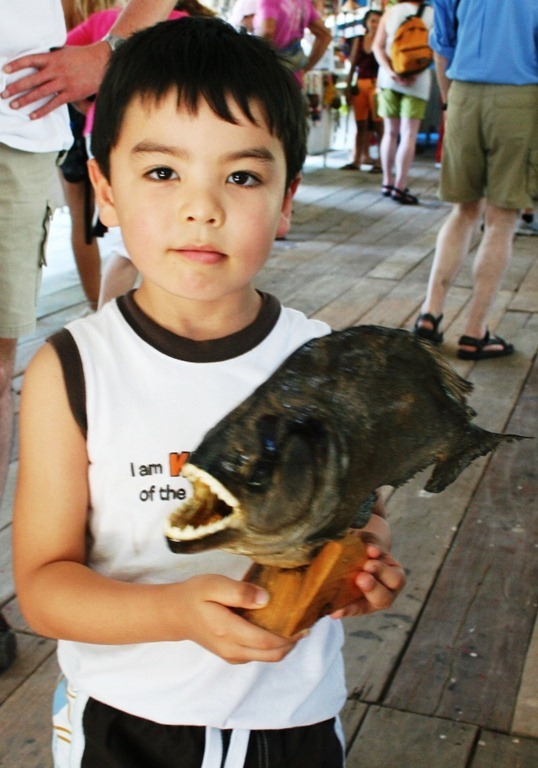 Here my son holds up mounted red-bellied and gray piranhas. He wasn’t scared of them in spite of their wide, toothy grins staring at him. 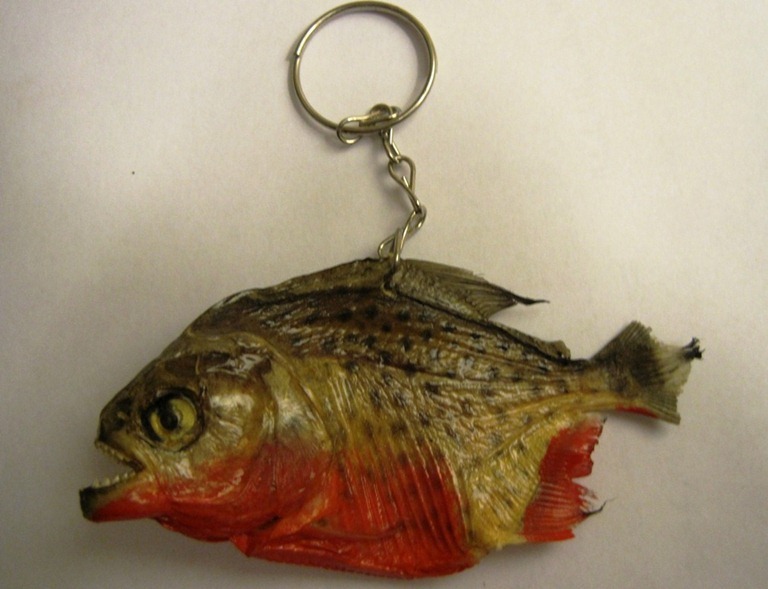 Piranhas also make good key chains, although their teeth have a tendency to catch on clothing. I didn’t see any piranha Christmas tree ornaments, but it shouldn’t be too difficult to swap the key chain for a hook. 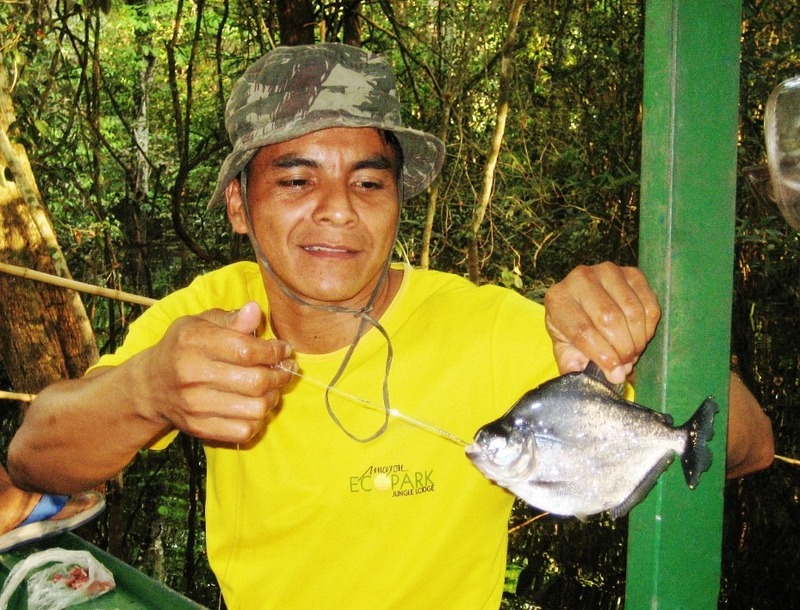 No trip to the Amazon would be complete without a piranha fishing expedition or souvenir. Before you go overboard and jump in to swim with them, however, consider this — the most feared fish in the Amazon isn’t the piranha. It’s the candirú, also known as the toothpick or vampire fish, a parasitic catfish with a lethal reputation for invading the internal organs of fish, animals, and humans and feeding on blood and tissue. Best stay out of the water.